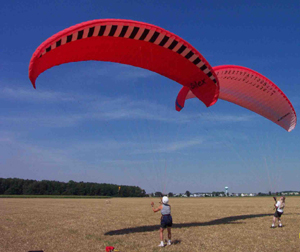 Paraglider/Paramotor instruction starts with learning to ground kite your wing. In a 5-10 mph wind you can learn to fly the wing while standing on the ground. 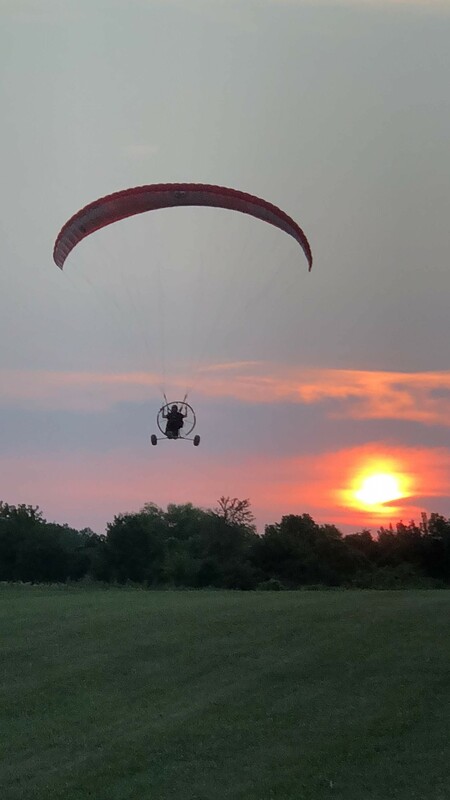 You will learn to reverse- and forward-inflate the glider and build skills needed to successfully pilot your craft. 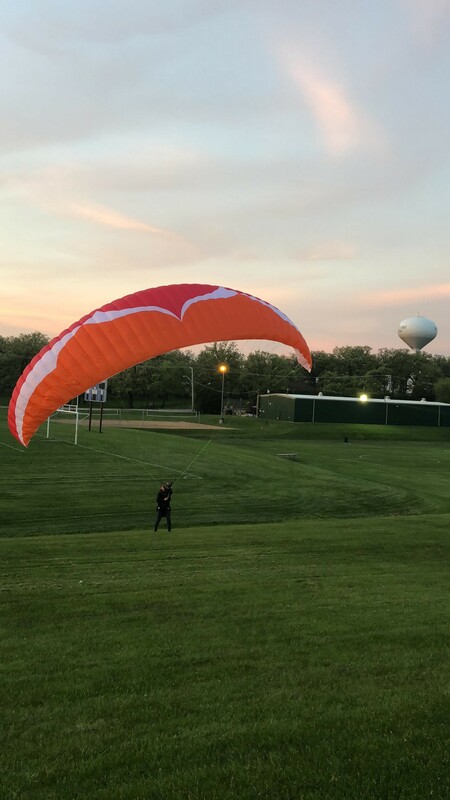 Once the basic kiting skills are learned you advance to pre-take off lessons, ground school, theory of flight, site awareness and FAA regulations. We take you from the ground up! Training cost is around $2500 and can take a minimum of 10 days, but we are aviliable for you all season long. After learning at our site, instructors will travel to your home area, look for appropriate launching sites, and work with you at home. We give you a full season to come and train with us, but welcome you back every year to fly with us. In addition, consider joining us on annual winter outings to warm weather climates. Here, Jeff Goin and NIPPGI instructor Mike Cannella demonstrate ground kiting. 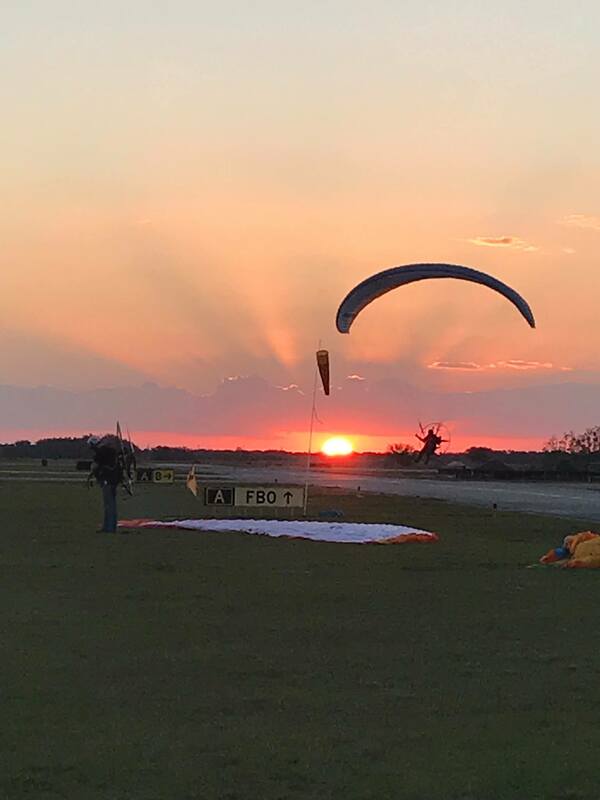 Good ground handling skills are a must for launching and landing.